While I’m crazy about flying, I’m also a big fan of trains and the Eurostar has always been on my bucket list. 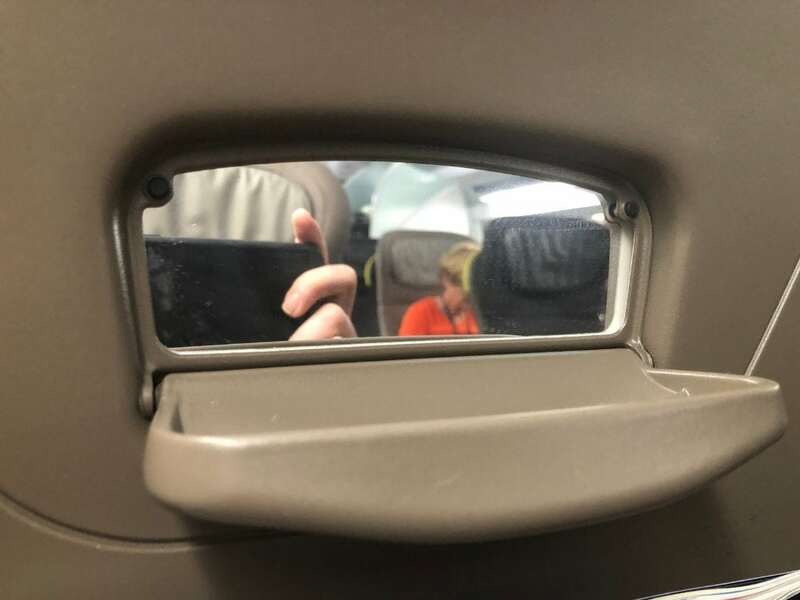 There’s something wonderful about being able to step on board and be whisked from one international city to another in just over two hours without needing to endure all of the hassle of air travel – the commute to an airport, checking in, boarding, disembarkation and then heading into the destination city. 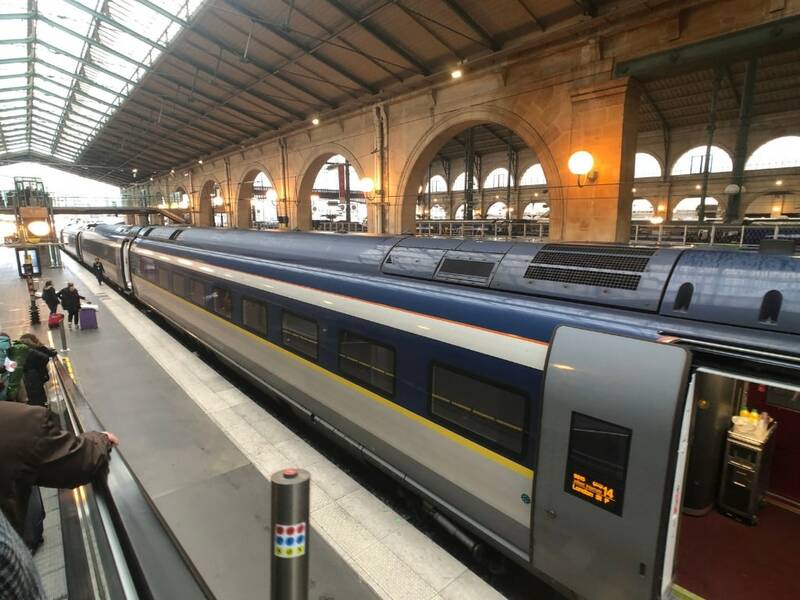 Recently, I travelled in Eurostar Standard Premier Class from Paris to London for lunch (yes, it’s totally doable for a day trip!). 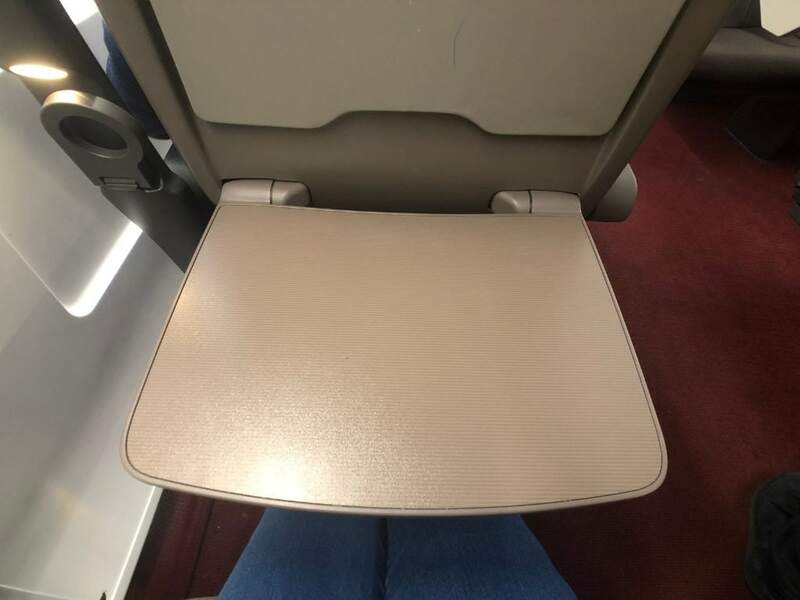 Read on to find out what you can expect when you step onboard the Eurostar, and find out how you can get the cheapest price on your ticket. My journey commences at Paris Gare du Nord. I’ve opted for a mid-morning train which will have me in London just in time for a (long) lunch. Eurostar Standard and Standard Premier checkin closes 30 minutes before departure (or 45 minutes at busy times). Business Premier passengers, in comparison, can check in up to 10 minutes before departure. I arrive around 75 minutes prior to departure and make my way to the Eurostar checkin area. While there’s no dedicated priority lane for Standard Premier customers (that privilege is reserved for Business Premier only), I speed through the security clearance in no time at all, and am soon making my way to a coffee shop in the departure area. Boarding is called around 20 minutes prior to departure, and I’m one of the first to make my way down the conveyor belt to the train, marvelling at the architecture of the Paris Gare du Nord. An attendant double checks my ticket and ushers me aboard carriage 16, a designated Standard Premier cabin. The seats are arranged in a 2-1 configuration, with an aisle down the middle. 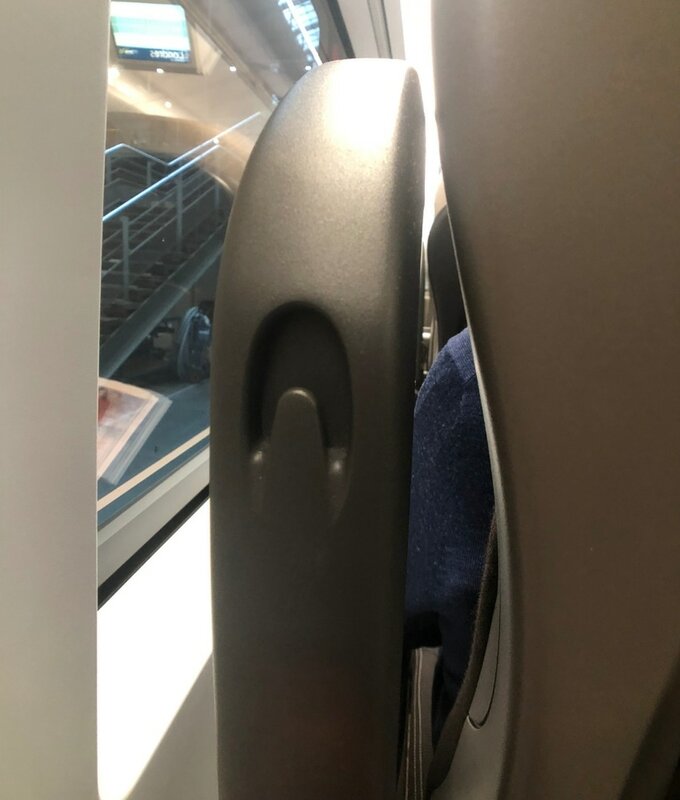 As a solo traveller, I’m pleased to see that I’ve been assigned a single seat by the window. It’s a comfortable place to perch, with a good pitch and plenty of legroom. 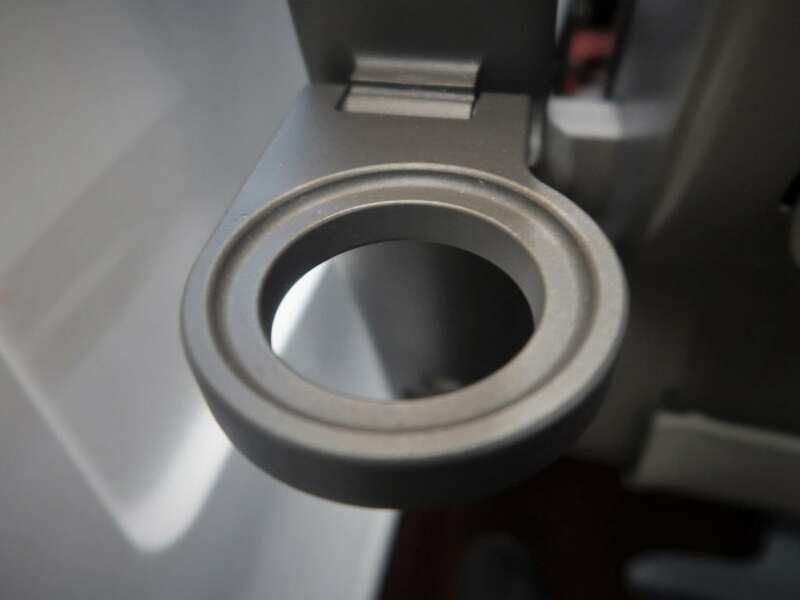 …while handy features like a drop down cup holder, small mirror, USB and power ports are easily in reach. 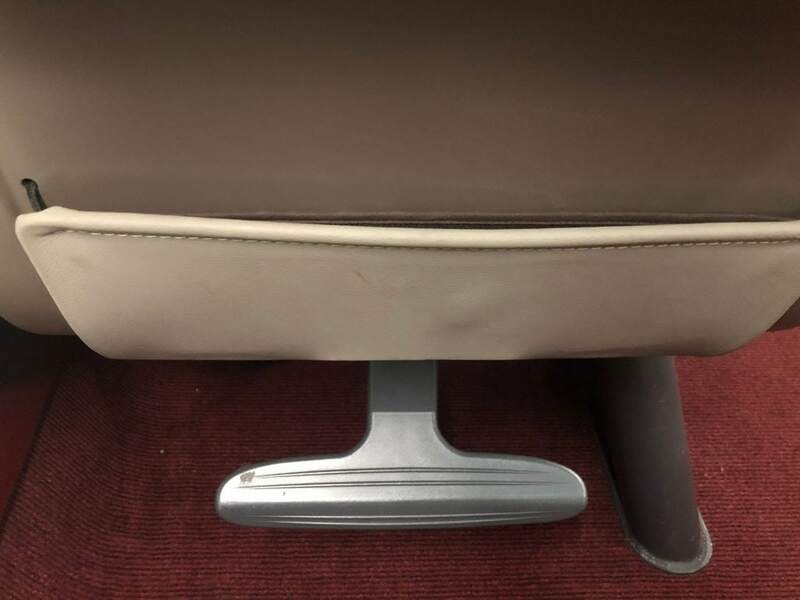 Additionally, there’s a reading lamp located in the left armrest – handy for maximising reading time on early morning and evening Eurostar train trips – plus a coat hook for hanging garments you’d rather not squash into the overhead luggage racks. A generously proportioned drop down tray table ensures there is adequate space for both dining and working on a laptop. 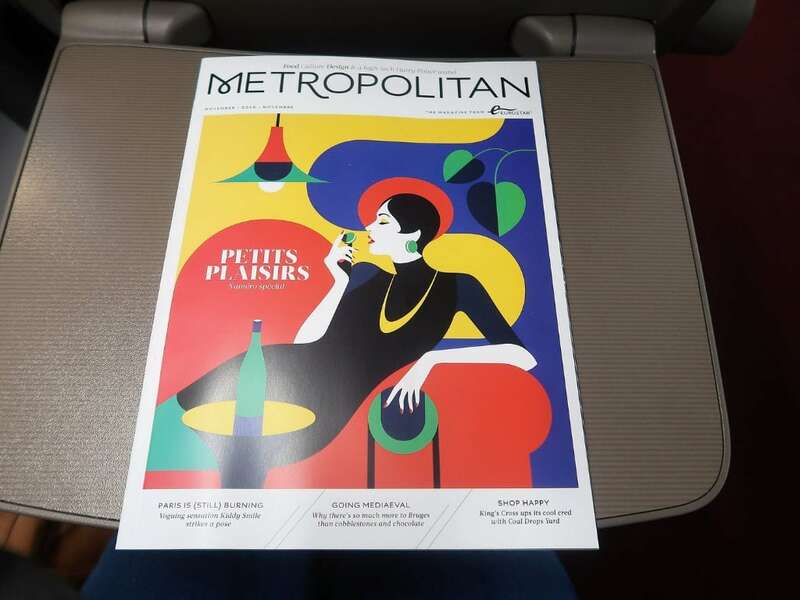 Passengers in all classes are provided with a free copy of Metropolitan, the Eurostar magazine which is published monthly. Shortly after we’ve departed Paris, the carriage attendants come around to offer food. 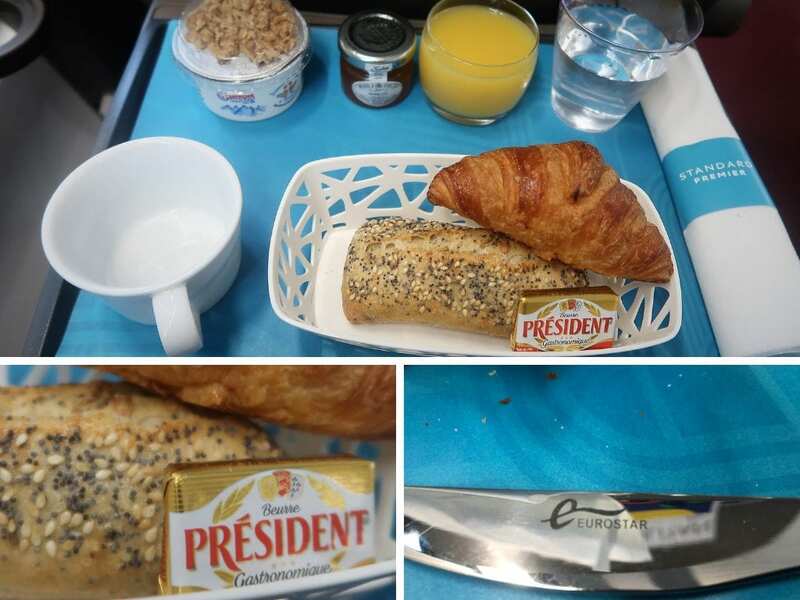 Eurostar Standard Premier passengers receive a complimentary light meal as part of the journey. As my trip is taking place mid morning, a light breakfast is on offer. I’m asked if I’d like to eat, and handed a tray. The spread consists of a croissant, bread and jam, yoghurt, orange juice, plus the choice of tea or coffee. While the offering is quite basic, it is served with proper metal cutlery and nappery, which is a nice touch. Once breakfast has concluded, the attendants pop around once more to offer refills of tea and coffee. As I’m travelling on an e320 train, my service is fully equipped with wifi. However, not all Eurostar trains boast WiFi, with some original e300 trains still to be refurbished. After breakfast, I still have an hour and a half of my journey to go, so I decide to fire up the Eurostar WiFi. 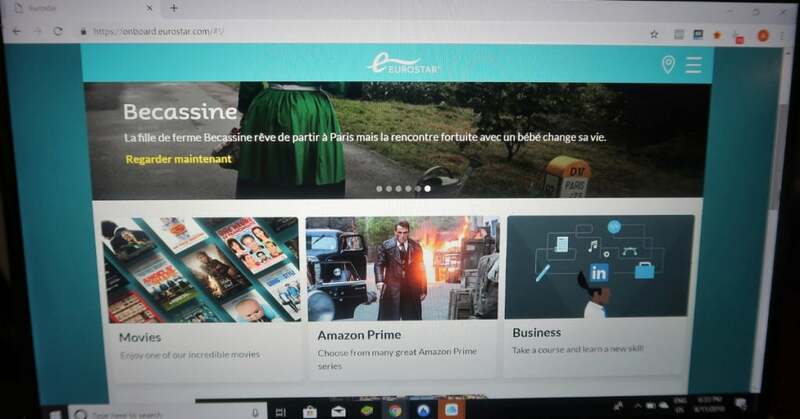 The process to connect to the service is very simple, and allows me access to the Eurostar entertainment app. However, it soon becomes obvious that outside major train stations, the Eurostar WiFi service is very slow and patchy. After a number of connectivity issues, I decide to give up on my attempts to access the outside world, and enjoy the view from the window instead. Before long, we’ve dropped off a load of passengers at Ebbsfleet, and are pulling into London St Pancras station. The disembarkation process is quick as anything – before long, I’m outside the station in the sunshine and ready to enjoy my day in London. If you can, it almost always makes sense to book your Eurostar tickets online. You can book all three Eurostar travel classes (Standard, Standard Premier and Business Premier) online, and the booking window opening up 90 days before your date of travel. 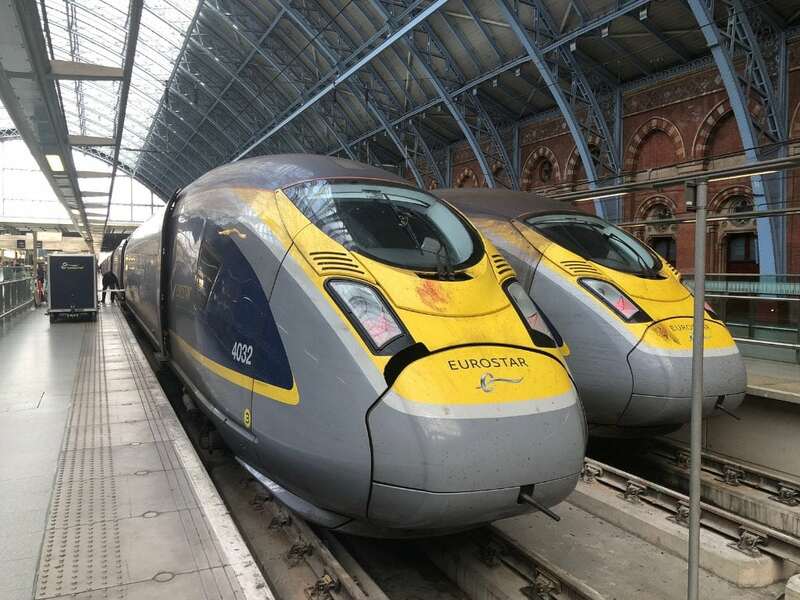 If you are able to plan ahead, booking your Eurostar ticket as early as possible will ensure you are able to access the cheapest pricing and discounts for advance purchases. Generally speaking, the longer you wait, the more you’ll pay, as prices on Eurostar tickets increase as a travel date looms closer. 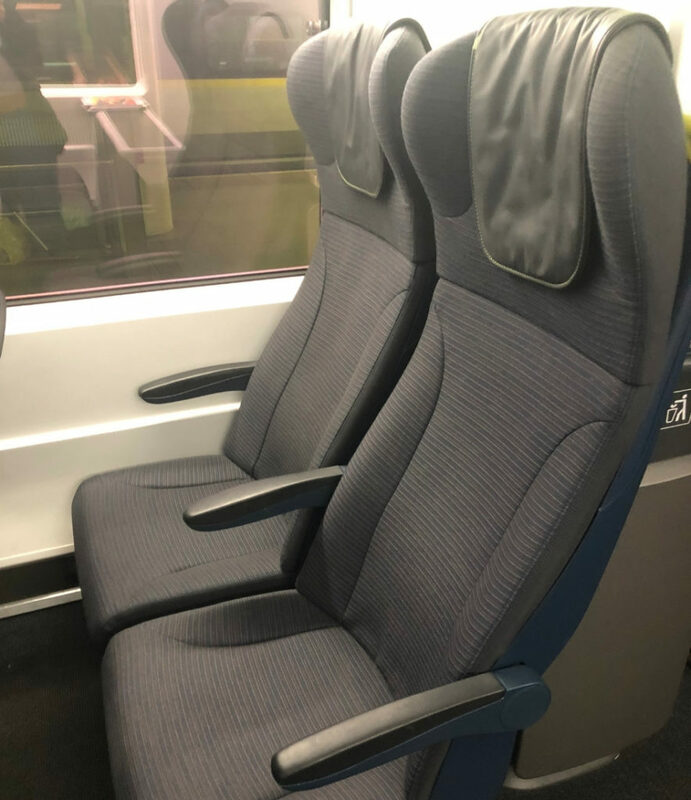 Not quite Business class, but a cut above what you’d expect from Standard, Eurostar Standard Premier ensures a comfortable journey with a few bells and whistles thrown in for good measure. But how does it stack up against the other two Eurostar travel classes? 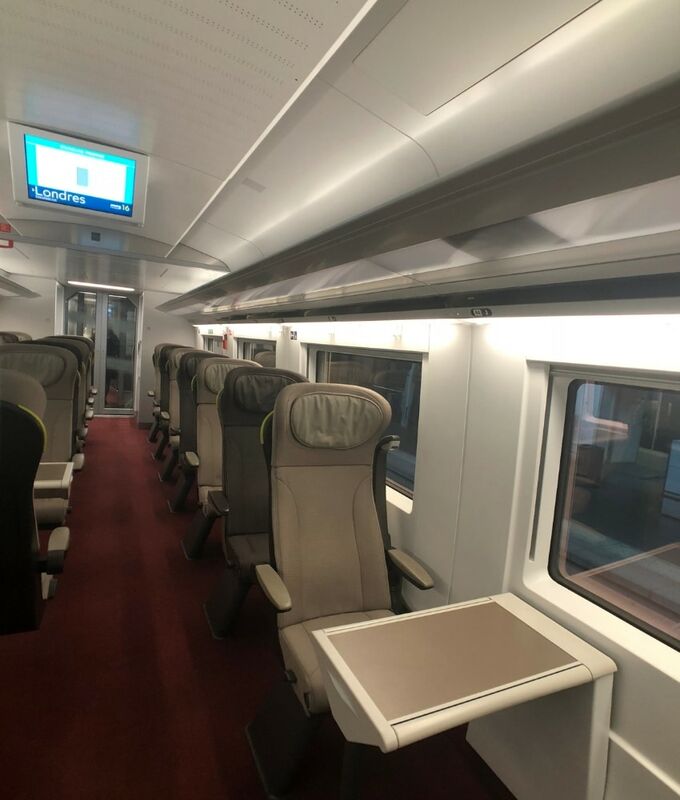 Business Premier is the top-tier travel class on the Eurostar, and tickets cost upwards of double those in Standard Premier – a significant difference in pricing. 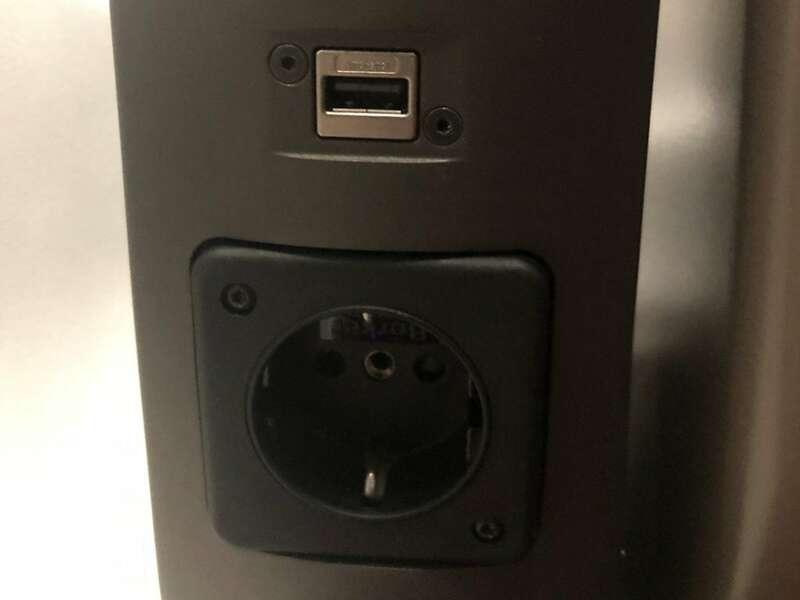 The main points of difference? 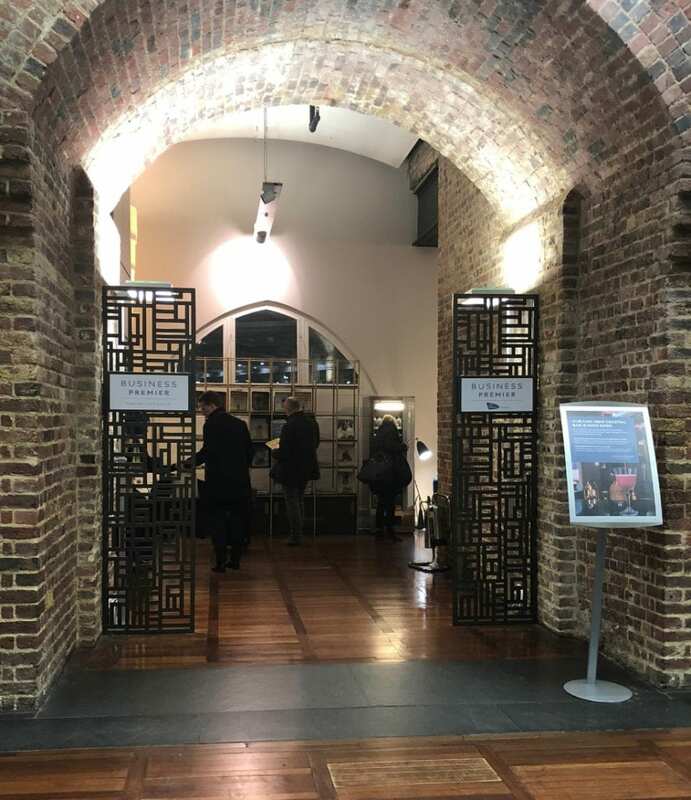 Business Premier travellers enjoy a lavish meal onboard, access to the highly rated Eurostar Lounge and the ability to check in up to 10 minutes before departure.In addition, Business Premier tickets are fully flexible, which means that they can be changed or refunded without penalty. However, it’s important to note that the seating in Standard Premier and Business Premier is exactly the same – so if space and comfort are the key criteria for your 2.5 hour journey, opting for a cheaper Standard Premier ticket might make sense. 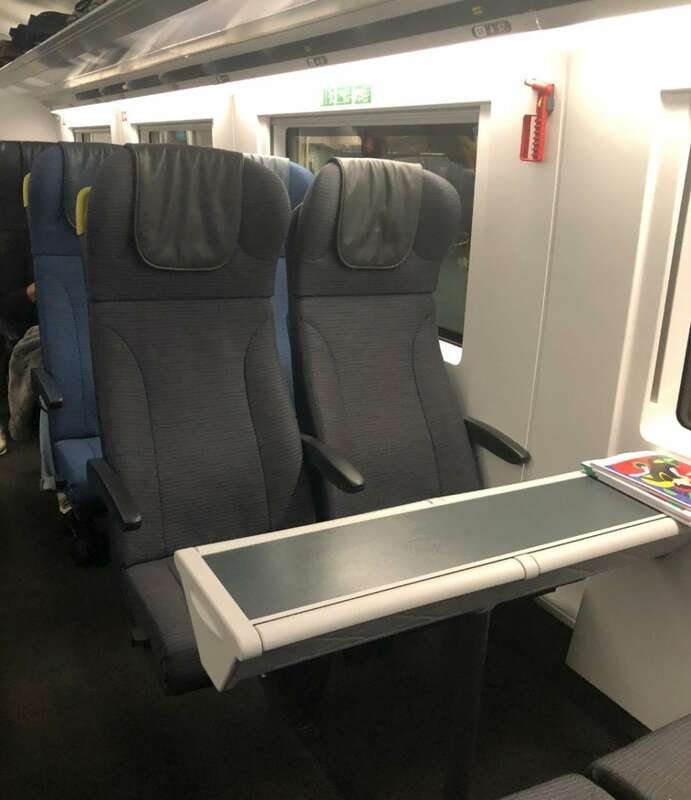 The main point of difference between these two travel classes is the seating, with the seat features, pitch and leg room in Eurostar Standard somewhat inferior to what you’ll find in Standard Premier and Business Premier. Other than that, though, it’s the simple addition of a light meal and beverages that separates the two classes. 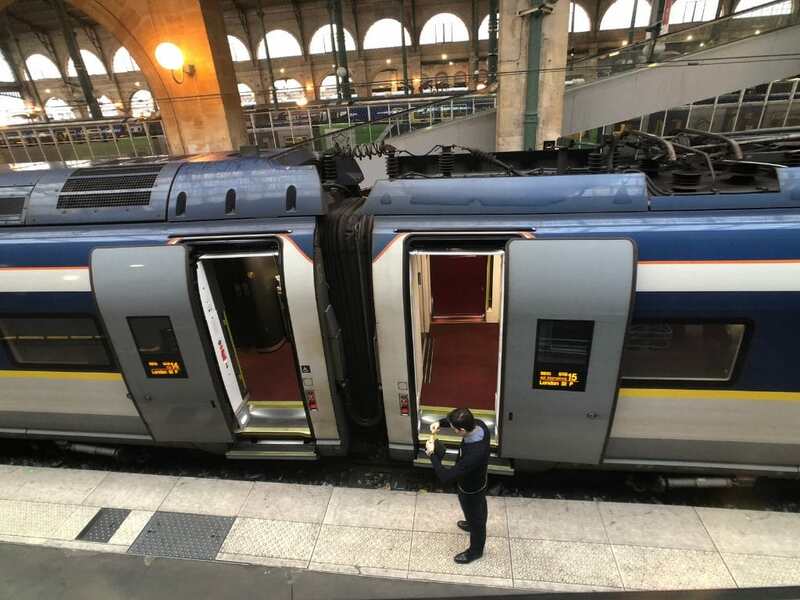 And with Eurostar Standard tickets often costing from as little as 40 Pounds one way, it can often make sense to travel in the cheapest cabin. The Eurostar train is one of the fastest and most convenient ways of travelling between London and Paris, and it’s popular with business people and tourists alike. Whether you’re embarking on a day trip, or planning a longer stay in London, the Eurostar offers a smooth and seamless journey. 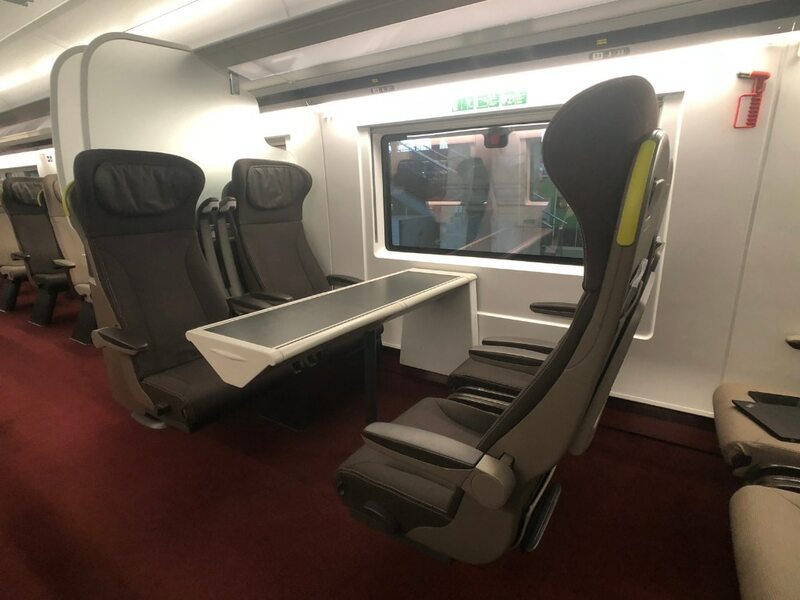 While Eurostar Standard Premier obviously isn’t up to Business Class standard, it provides a good array of creature comforts to ensure that the journey is a pleasant one. And when taking the Eurostar, a day trip to London is perfectly doable. The return London to Paris Eurostar journey takes just shy of 2.5 hours and leaves from central St Pancras station. A Eurostar train journey will help you to arrive refreshed without all the hassles of airport travel – just remember to book as early as you can to access the best pricing possible.